Roasting jalapeno peppers allows you to easily remove the outer skin and also alters the flavor of the pepper. Roasted jalapeno peppers are delicious and soft, and also perfect for making jalapeno poppers recipes. Traditional ways to roast jalapeno peppers include roasting over an open fire, broiling, baking or grilling. Basically, you apply a heat source, wait for the skins to blacken, char, and loosen, then peel. The hotter the heat source, the more you will affect the actual meat of the jalapeno, so beware of applying too high of heat. Try this jalapeno pepper roasting technique for a sweeter flavor in the jalapeno. Roasted jalapenos are great for a multitude of recipes. You can also roast your jalapenos before your preserve them. Place the jalapeno pepper directly over the flame. Allow skin to blacken and bubble up. It will do so in about 2-3 minute. Flip the jalapeno pepper and blacken both sides. Do not allow to catch fire. Add jalapeno pepper to a plastic baggie and seal. Allow to steam in the baggie about 5 minutes to loosen the skin. Remove pepper from baggie and peel off the skin. A towel will help, or a fork. Discard the skin. Cook the roasted jalapenos into any recipe you wish! NOTE: You can adapt this recipe to the grill by heating the grill to HIGH heat, and roasting the peppers the same way over the heated grill. Again, the jalapeno pepper skin will blacken and blister. From there, move onto step #4 and continue onward! Place whole jalapeno peppers on a lightly oiled baking sheet and broil about 10-15 minutes, or until skins are thoroughly blackened. 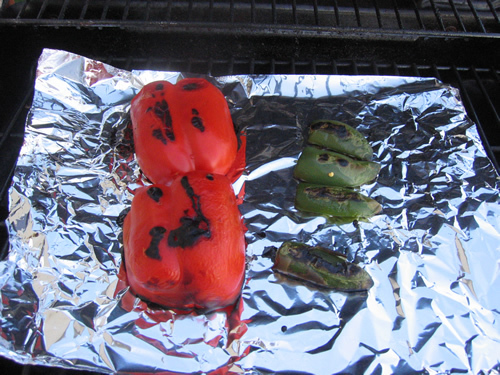 Flip the peppers to expose the other side and broil another 5-10 minutes, or until skins are thoroughly charred. Add jalapeno peppers to a plastic baggie and seal. Allow to steam in the baggie about 5 minutes to loosen the skin. Remove peppers from baggie and peel off the skins. A towel will help, or a fork. Discard the skin. When roasting jalapeno peppers in the oven, you can also slice the jalapeno peppers in half lengthwise and place them skin sides up on the roasting pan to save you the time of flipping them halfway through the roasting process. This won't work if you want to stuff your roasted jalapeno peppers, however. 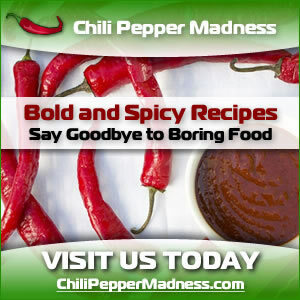 Learn More about How to Roast Chili Peppers at ChiliPepperMadness.com.